We are aware that the diagnosis of COPD can come as a shock for many patients and their families. This is why we put everything into providing sufferers with the best possible treatment. 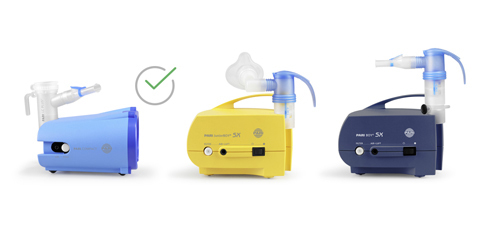 Our products have been especially developed to meet the different demands of our patients. 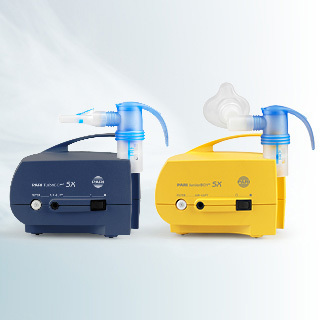 They have a proven track record in the treatment of severe respiratory diseases over decades. 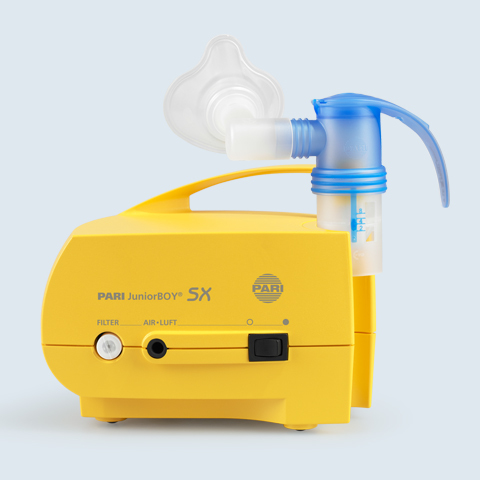 PARI inhalation devices are a valuable support in the treatment of COPD. 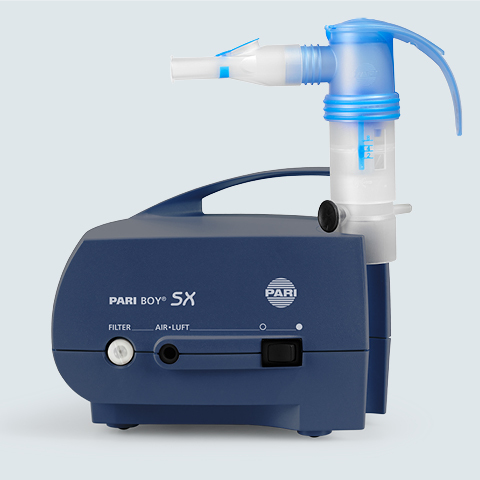 We recommend our SpiroSense systems for testing lung function (spirometry testing). If COPD is suspected, your GP will generally refer you to a lung specialist. 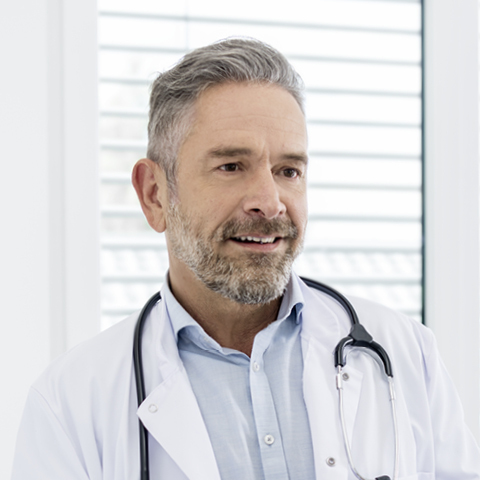 For an exact diagnosis, the doctor first records a detailed account of your medical history. This includes the duration and severity of the symptoms (cough, sputum, shortness of breath, reduced performance) and if applicable your smoking habits and contact with harmful substances. The next step is a full physical examination. This includes percussion (tapping) and listening to (auscultation) the lungs. In the auscultation the doctor is listening out for wheezes and/or rhonchi (low pitch breath sounds, a bit like snoring). The most important diagnostic measure is measuring lung function. Here various breathing manoeuvres are performed while the air that can be breathed in and out in a certain period is measured. If necessary, an examination may include the heart, an X-ray of the lungs or a blood test. The subsequent exertion test (e.g. bicycle ergometer) determines the physical performance (6-minute walking test). Your lung specialist may arrange further tests: these include allergy diagnosis, more detailed imaging procedures (computer tomography) and bronchoscopy. After all tests have been performed, your specialist will explain the severity of the disease to you. With the COPD diagnosis there are four different grades, ranging from 1 (mild) to 4 (severe). Your doctor will inform you about possible comorbidities (additional diseases) and further therapies. Also ask them what you yourself can do to positively steer the course of your disease. The lungs have an excellent self-cleaning mechanism. If this is impaired, inhalation using a nebuliser can help the lungs to get back on track. Benefit from our experience. In over 110 years in business, we have gained comprehensive knowledge and expertise in aerosol therapy.